On July 31, 2015 Ryan Allen Adams was sentenced to seven years in jail for one count of Vehicular Homicide. Adams pleaded guilty on April 13, 2015. The first three years of the sentence will be served, while the last four years are suspended. Adams will spend the first year at the Calcasieu Correctional Center before being transferred to the Academy of Training Skills for the remainder of his sentence. Following his release, Adams will be on supervised probation for four years. 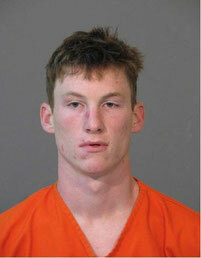 Adams was driving a vehicle on October 19, 2013 when he left the road and struck a pole south of Lake Charles. The front seat passenger, 18-year-old Hannah Clair McVey, died as a result of the crash. Adams had tetrahydrocannabinol (THC) in his system, and his blood alcohol level was above the legal limit. Assistant District Attorney Bobby Holmes handled the case for the Calcasieu Parish District Attorney's Office.